Saturday will be a competition at UTA's big lot with the traditional 1998 FSAE endurance course in the morning and a different course in the afternoon. 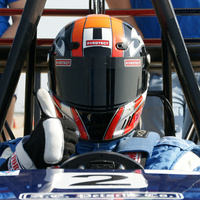 On Sunday, there will be a formal “Formula Cars Only” autocross event. In 2017, 13 schools were represented with 24 FSAE cars and more than 200 students attending the event.